FRANKFURT (Reuters) -- Shares in Hella, a German manufacturer of auto headlights and electronics, rose on their stock market debut in Frankfurt, benefiting from a return of investor confidence after the cancellation of numerous flotations in recent weeks. Family-owned Hella saw its share price increase 4 percent on Tuesday above the offer price to 27.50 euros ($34) in early trading. Hella Managing Partner Juergen Behrend tied its successful listing to choosing a strategy aimed at insulating the listing from short-term fluctuations in stock markets. Hella had first placed 11.1 million new shares with institutional investors at 25 euros apiece ahead of the actual flotation. The group then offered an additional 5.75 million shares from the holdings of the owning family in a bookbuilding at a 25 to 28 euros range. "We are sure that we would not be here [at the stock exchange] today if we had chosen a different listing strategy," Behrend said. Some equity capital markets bankers have, however, said that Hella missed out on a lot of cash by using this two-step structure. Despite a surge in IPO activity in Europe this year, sliding equity markets cooled investor enthusiasm in recent weeks. In Germany, online classifieds group Scout24 and cable group Tele Columbus postponed planned listings and people familiar with the transactions pointed to a spike in market volatility, which is regarded as poison to IPO markets. 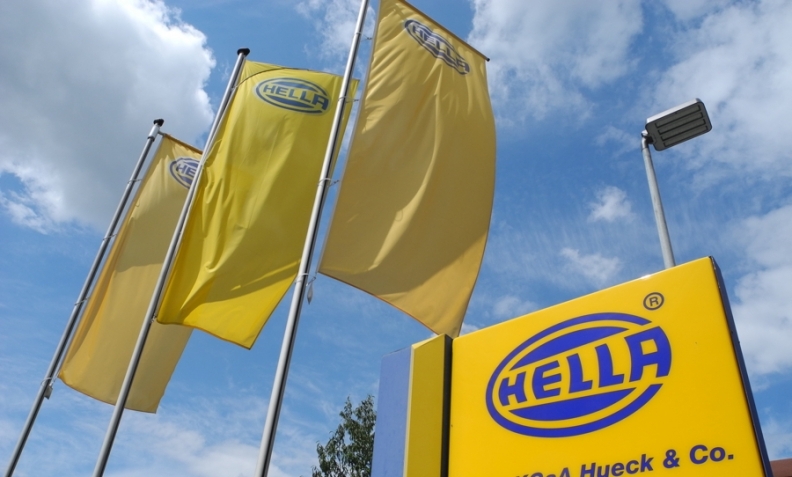 Hella, whose family owners have vowed to keep a shareholding of at least 60 percent until 2024, is planning to use the IPO proceeds to fund international expansion and innovation. Behrend said that Hella was not planning to use its shares as a currency in any potential merger. "We are not planning any large-scale acquisitions," he said, adding that the group will continue to focusing on organic growth as well as bolt-on acquisitions. Hella, which employs 31,000 staff, generated earnings before interest, taxes, depreciation and amortization of 650 million euros in its 2013-14 financial year on sales of 5.34 billion euros. Bankhaus Lampe and Citigroup organized the flotation.